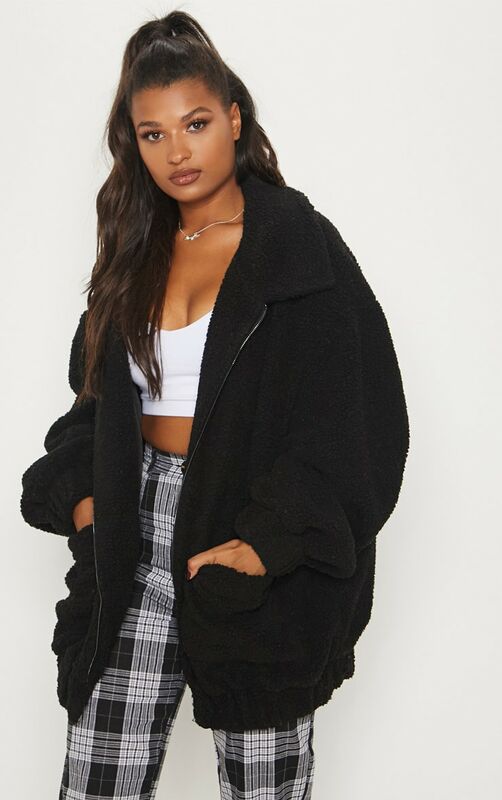 Fight the chill while looking chic this season with this coat. 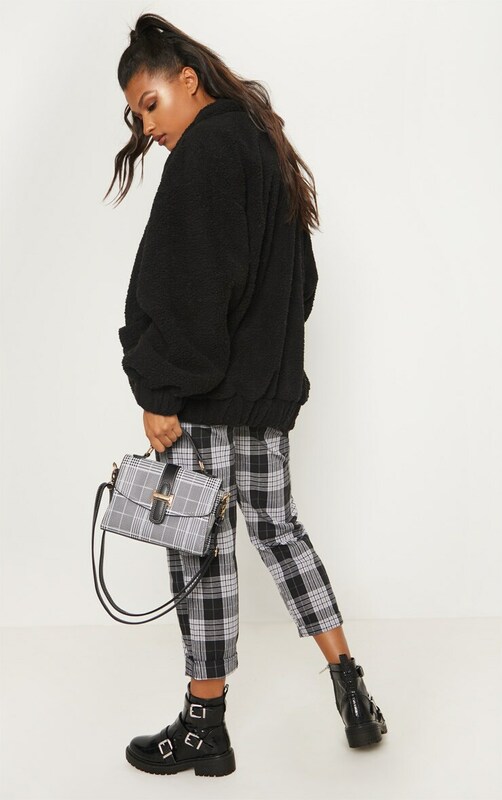 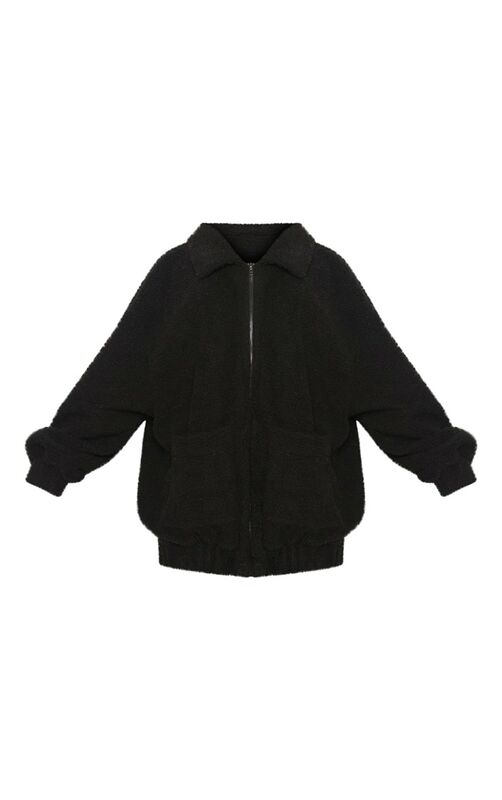 Featuring a black borg material, a zip up front with pockets and an elasticated hemline. 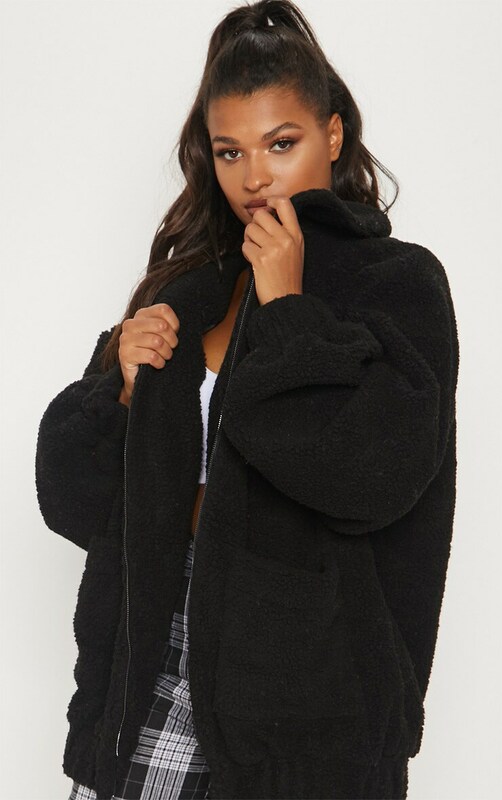 This coat is our new wardrobe saviour, the simple style can be worn with anything.